Akula971 wrote: So that means its not air droppable like its S and U versions. AFAIK, the max range for the Tornado-G is 90km, while some sources mention 40-50km. i wonder why Russian military hasn't received yet Tornado-U or -S.
There was a report that the Tornado-S started entering service at the end of 2014, but I haven't seen any photo evidence yet. Developer: newest MLRS "Tornado-G" is 15 times more effective than "Grad"
George1 wrote: Developer: newest MLRS "Tornado-G" is 15 times more effective than "Grad"
Oh mama this looks good. I presume Tornado-G can be applied to existing Grads to have kinda Grad Block-G by adding computerized fire control, Glonass and new ammo pack. I wonder if Buyan corvettes will receive Tornado G upgrade? 90km of range sounds better then most of naval guns. 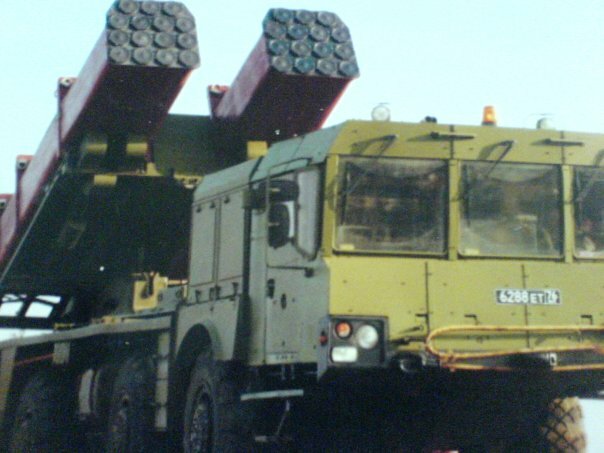 Hi all, with the 9A52-4 Tornado now starting replace the BM-21 in Russian service i thought it would be worth a mention of the service the BM-21 has given Russia and various other countries. Although it will still be service for many years to come, with the replacement of it in Russian forces in a few years time the BM-21 will be sent into storage. The system yet pretty simple compaired to other systems out there the BM-21 has to be the most produced MLRS system ever(although i might be wrong please correct me if i am) and also must be the most widely used MLRS system in service today. I think reason for this must be down to its simplicity and cost, i am not sure of the exact cost but it must cheapest MLRS system on the market. The system has spawned many copies by other countries with their own various changes, but ultimately the design is the same. The cheap cost allows countries field a decent amount and the system is pretty effective and has a variety of different rockets (not sure if there ever did thermobaric anyone know if they did?). In my eyes this is up there with the likes of the T-55, T-72, BMP-1, BTR 60, Mi-8, Mi-24, Mig 21, Mig 29, which are all iconic and great pieces of equipment which made the soviet army and still to this day have a long legendary legacy. So here's to the BM-21 Grad and it entering the soviet military machine hall of fame. If anyone wants to put there thoughts on this it would be great. On land and at sea the Grad did an excellent job... I am a little surprised there was no air launched model 122mm rocket... well there was a 5 shot 122mm rocket pod but it used an unrelated rocket AFAIK. Would have been useful for blunting enemy attacks, especially with later models with anti tank submunitions. It had a range of payloads and in early models 20km was a decent range, while later models achieved ranges of 36-40km. An excellent way of getting large amounts of HE and splinters on an area target rapidly. ST. PETERSBURG, July 3. /TASS/. Test-launches of new multiple rocket launcher systems (MLRS) of 300mm caliber will be completed by the end of 2015, deputy general director of NPO Splav Gennady Kalyuzhny told TASS on Friday. "They [multiple rocket launcher systems of 300mm caliber] are at a stage of state test-launches which we plan to finish this year. Test-launches of 220mm caliber systems have already been completed, and the 300mm caliber system is at the final stage of state test-launches," Kalyuzhny said at the International Maritime Defense Show in St. Petersburg. 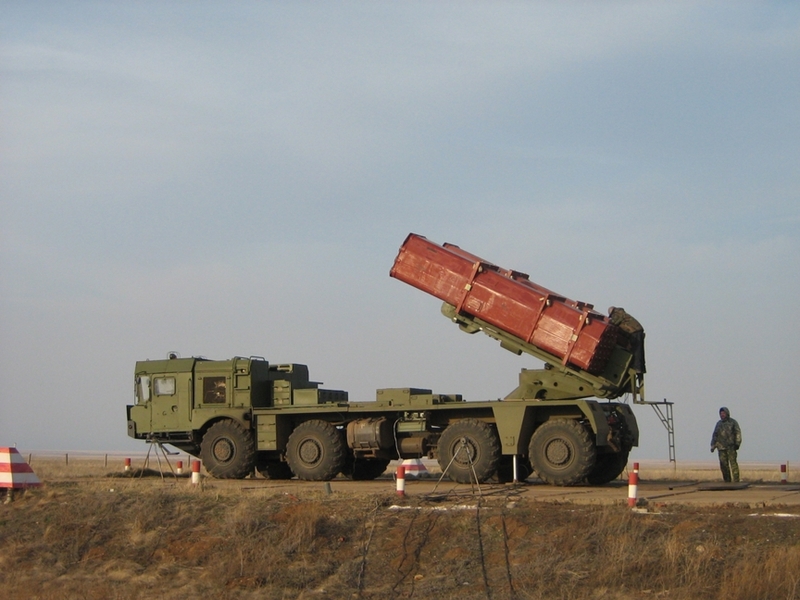 Kalyuzhny reminded that new Tornado-G multiple rocket launcher system was put into operation. "We launched serial production of the system," he noted, adding that it exceeds Grad MLRS in efficiency. Grad and Tornado-G, which represents a modernized Grad system, have 122mm caliber. They are designed to strike armored vehicles, artillery and mortars, as well as command posts. The Uragan MLRS has 220mm caliber. MOSCOW, July 22. /TASS/. More than 20 units of the newest Tornado-G multiple rocket launch system (MRLS) have entered service with the Taman motorized infantry division and the Kantemirovskaya tank division of the Western Military District, stationed in the Moscow region, district spokesman Colonel Oleg Kochetkov told reporters on Wednesday. 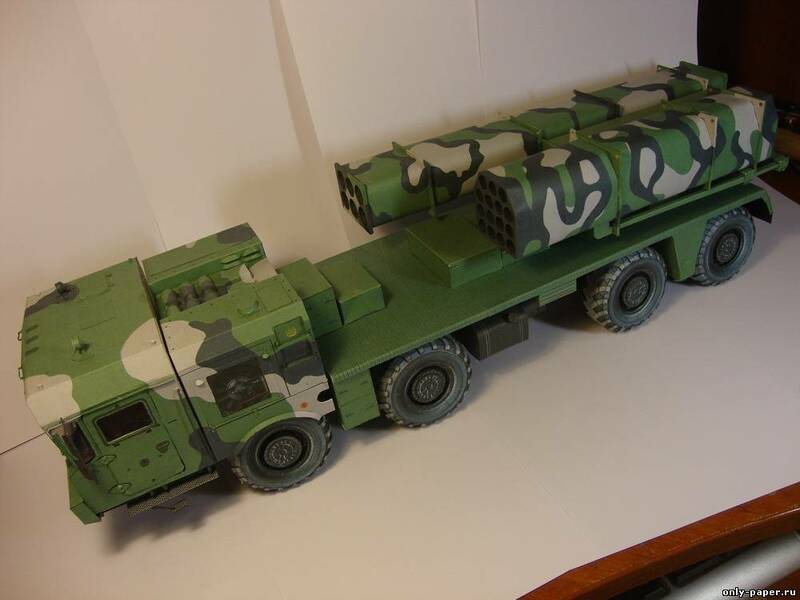 "The new 122-mm Tornado-G MRLS will replace the BM-21 Grad system. The Tornado-G three times surpasses the Grad MRLS in combat effectiveness by means of higher ammunition yield, and automated self-guidance, aiming, geo location and navigation system," he said. The new system’s combat deployment is 1.5 times shorter and its hitting range is expanded to 1 hectare, he said. Artillerists of the Western Military District will conduct the first life fire exercise using the Tornado-G MRLS within the coming month. The new multiple launch rocket system (MLRS) “Uragan-1M” of a 220 mm caliber is entering service in Russia; its features are full automation and ability to use interchangeable packets of ammunition, First Deputy Director General of “Tecmash” concern (included in “Rostec”) Vladimir Tikhonov told RIA Novosti on Friday. The system is being developed by the Tula-located enterprise NPO “Splav” (included in “Tehmash”). “The MLRS “Uragan-1M” is entering service in Russia. State tests have been successfully completed. This is a modernization of well-established multiple rocket launchers “Uragan” of the previous generation. The main essence of modernization is the use of interchangeable packages, that is, the system will be bi-caliber, it will be able to use ammunition of a larger caliber”, – said Tikhonov. Does "use ammunition of a larger caliber" = 300mm. If so one system could replace both. For shorter ranges 220mm and 300mm for longer ranges. Would be an interesting system if so. this is a good step as the Uragan had 16 tubes of 220mm calibre rockets, while Smerch had 12 tubes of 300mm calibre rockets. Grad has 40 tubes of 122mm rockets, while MLRS has 12 tubes of 227mm rockets. I suspect the future forces will combine the two heavier rocket vehicles in one vehicle that can be loaded with two pallets of either of the rocket types or combinations. It might even be able to carry the lighter calibre rockets too (122mm). which would make it rather more flexible. For situations where smaller vehicles are better then the new version of Grad could be the best option, but there was also a light version able to carry one pallet that could be used to. Will be interesting to see which way they go. From what i conclude, Tornado is only modernization of older MRLSs? Not completely a new system? George1 wrote: From what i conclude, Tornado is only modernization of older MRLSs? Not completely a new system? Not sure about how much the actual rockets have been modernized but the rest of the system is totally new. And would appear to also replace the Smerch by combining them into one vehicle with interchangeable rocket pods. technically this is just a serious upgrade of the electronics of the Grad, Uragan, and Smerch... the main difference however is that the Uragan and Smerch seem to now have a unified platform, and they are loaded in pallets instead of individually. This seems to show another 122mm pallet with 3 rows of 5 rockets in each pack. Has anyone see the 220mm rocket pallets? The 300mm 6 packs are visible in the picture above too. 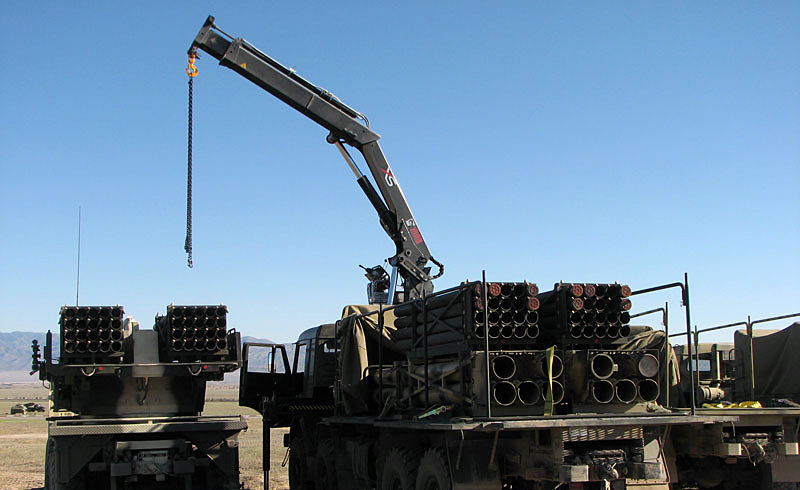 I would expect a 220mm rocket pack would include about 8 tubes so it equates (with two pallets) to the 16 tubes of Uragan... the Smerch 300mm rockets have 6 tubes each which matches the original system when two pallets are used of 12 rockets. The above 15 shot pallets of Grad 122mm is just short of the original system 30 instead of 40 which perhaps explains why the Grad has been replaced with a Grad with 40 fixed tubes instead of pallets. GarryB wrote: technically this is just a serious upgrade of the electronics of the Grad, Uragan, and Smerch... the main difference however is that the Uragan and Smerch seem to now have a unified platform, and they are loaded in pallets instead of individually. A 12 round 220mm rocket pack (660x880) would be pretty close in size to a 6 round 300mm rocket pack (600x900) but I have not seen anything yet. Also those 122mm pods are 4x5 or 20 rounds each. Well duh... I should look at these images at full size rather than glancing at the thumbnails. That is possible, but I suspect that the future plan is for the Grad lookalike Tornado-G to just replace the Grad vehicles... they seem to have fixed tubes rather than loaded pallets. TO me therefore I suspect the other vehicle we see with the separate pallets that seems to be a replacement for both the Uragan and Smerch that can carry two pallets so assuming 122mm, 220mm and 300mm pallets in any combination should be a useful flexible vehicle. On other vehicle we have seen is a light truck with a single pallet... now assuming the single pallet light truck uses standard pallets that means it could carry one 122mm, 220mm 0r 300mm pallet to support different units over different ranges of targets. This would mean for light units that use light rockets (122mm) they could use Tornado-G, while light mobile units might use the light truck Tornado with a single pallet capacity, while heavier units or units than need heavy fire power could use the other Tornado with the two pallets. MOSCOW, 21 Nov — RIA Novosti. Guided missiles will be developed for reactive systems of volley fire (MLRS) "Smerch" and "Tornado-S", said Saturday the Deputy chief of Rocket troops and artillery (Rvia) of Russian Land forces the General-major Alexander Drahomaretskiy. "For "Smerch" and "Tornado-S" in the future will be developed guided missiles, which will carry out the exact defeat of the purposes",- said the General-the major in radio station interview "Russian news service".